Human interaction is based on ritual. 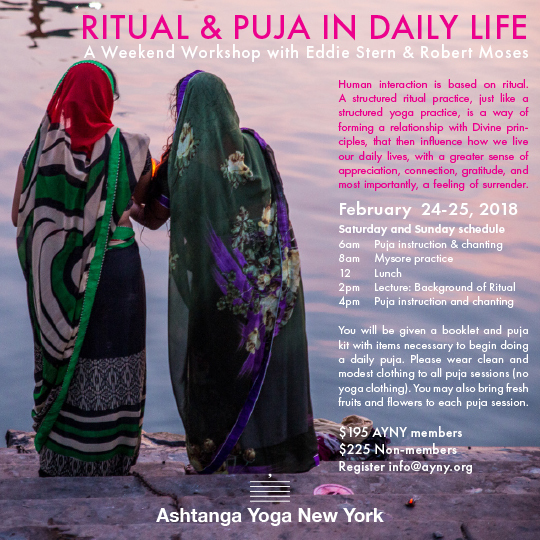 A structured ritual practice, just like a structured yoga practice, is a way of forming a relationship with Divine principles, that then influence how we live our daily lives, with a greater sense of appreciation, connection, gratitude, and most importantly, a feeling of surrender. You will be given a booklet and puja kit with items necessary to begin doing a daily puja. Please wear clean and modest clothing to all puja sessions (no yoga clothing). You may also bring fresh fruits and flowers to each puja session. Coinciding with the 50th year anniversary of the birth of the ISKCON movement, Director John Griesser and co-directors Jean Griesser and Lauren Ross, have brought the film, “Hare Krishna! The Mantra, The Movement and the Swami who started it all,” to theaters world-wide celebrating the extraordinary life of Srila Prabhupada. 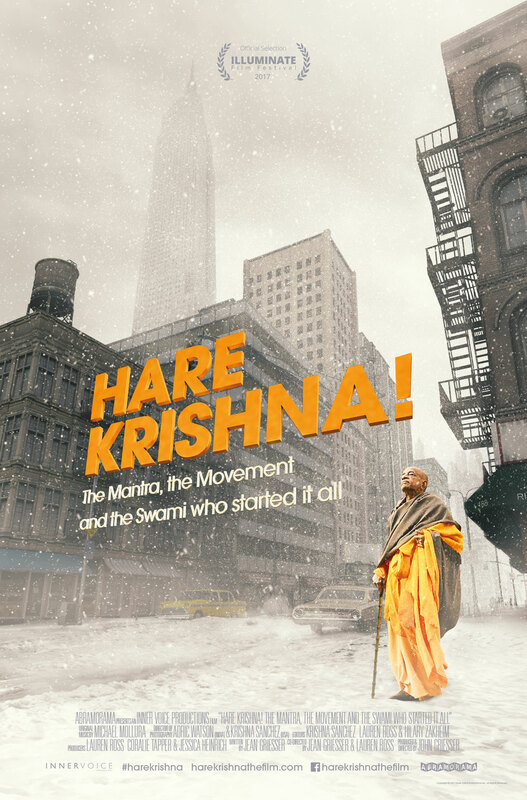 The film, which debuted in New York City’s East Village, on June 16th, is a rare, thoughtful, and vivid glimpse of the worldwide Krishna movement and the complex state-of-the-world that Prabhupada encountered. a dream fulfilled; an epic nothing short of the divine. This dynamic new film directed by John Griesser and co-directed by Jean Griesser and Lauren Ross titled, “Hare Krishna! 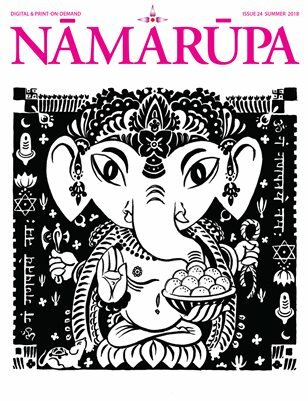 The Mantra, The Movement and the Swami who started it all,” attempts to chronicle his extraordinary life and succeeds—not only as a first-rate biopic but also as a profound examination of America and the world during a turbulent 1960’s and 1970’s when Vietnam, racial injustice, and the Cold War had descended. Through vivid documentary footage and thoughtful, probing interviews with former devotees and scholars, a portrait of Prabhupada emerges. At once intimate and complex, the charismatic Prabhupada comes alive, particularly his immense capacity for devotion. For many in the Krishna movement, the biographical details of Prabhupada’s life are known. Yet they are no less dramatic for the retelling and the filmmakers do an excellent job of overlaying imagery, narration, and incorporating ethereal music and chanting to tell their story. Truth is grander than fiction, the backdrop all too real. The most imaginative fairy tale or Horatio Alger story couldn’t be more vivid than the events of Prabhupada’s life. In 1965, at the age of 70, the penniless Swami from Kolcotta abandoned his beloved India and traveled by cargo ship to New York City’s Lower East Side—a far cry from America’s gold-paved streets–where he undertook the singular task of beginning a world-wide devotional movement. Black-and-white photographs—Prabhupada in his monk’s clothing, stubble visible on his face- against the backdrop of the jagged streets of New York City –offer the audience a visceral glimpse into the world in which Prabhupada emerged, a reminder of the leap of faith required for this former businessman to start a spiritual revolution alone in a strange land. With only sacred texts and a 16-word mantra for companions, Prabhupada takes up residence in a storefront on 26th street and Second Avenue and begins his Homeric task. At the behest of his guru, Prabhupada arrived to bring Krishna consciousness to the West and superb first-hand footage shows just how skillfully he translated his mission into the quotidian of daily life; prayer, sharing food, reading from his beloved Bhagavad Gita to those who sought refuge. Soon, a rag-tag handful of devotees understand his message of “bhakti” –devotion and love to all– and are mesmerized. As momentum builds for the Krishna movement and ISKCON’s devotees grow in number, the filmmakers also portray the “other” America outside of Prabhupada’s sanctuary. Finding themselves an international presence (there is wonderful and surprising footage of parades in London that fill Trafalgar Square, Washington Square Park in New York City alive and electric with Krishna devotional dancing), there are also those that have little, if no regard, for Prabhupada or his teachings—a secular America weary of cults and “thought programing” who believe that Prabhupada mission is ephemeral; a temporary haven for the disenfranchised. There are clips from “Anti-Cult Movement experts” who warn of the dangers of “mind control” and the film depicts the “People versus Murphy” when criminal charges were brought against two devotees, a case that went to the New York City Supreme Court only to be dismissed. As one of Prabhupada’s closest associates tells us, “The more Prabhupada got attacked, the more energized he became.” Ever assured of the power of his teachings, Prabhupada had used only The Bhagavad Gita for his defense. Ultimately, however, what makes the film such a vibrant portrayal of the history of the Krishna movement, is its refusal to give in to stereotypes or the grandiose–from painting Prapubadha and his devotees in too broad strokes. Perhaps the most telling vignette about Prabhupada, comes from rare footage of a trip he undertook to the Soviet Russia. In 1971 almost no Americans, certainly not Swamis, were granted visas. Yet, he applied and visited the country. Upon his arrival at Moscow, his Bhagavad Gita was confiscated by customs and after being detained, was finally released. “In the 12 years that he was alive,” the credits at the film’s end inform us, “he circled the globe 14 times, established 108 temples on 6 continents [and] saw 60-millions of his books distributed in 25 languages.” Whether you are a person of faith, a devotee, a skeptic, atheist, agnostic, or student, the film, “Hare Krishna! 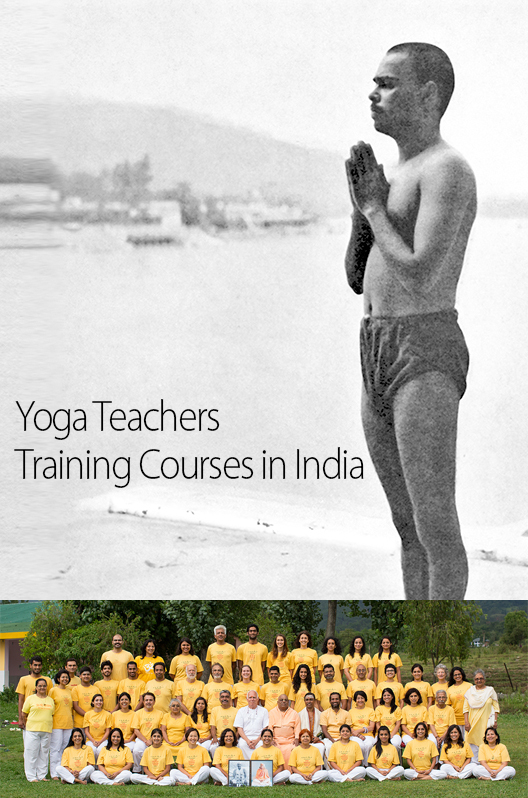 The Mantra, The Movement, and the Swami who started it all,” will amaze you. It is an insightful, enduring portrait about one of the most important figures of the twentieth century whose message of Krishna consciousness continues to reverberate in today’s fragile world. Rachael Stark: I’d like to take a moment to assess the film in our culture at large. Recently, Wonder Woman has been released in the mainstream media and the modern version of the heroine, played by Israeli actress, Gal Gadot, has been lauded as a contemporary epic—a much needed heroine for our times. 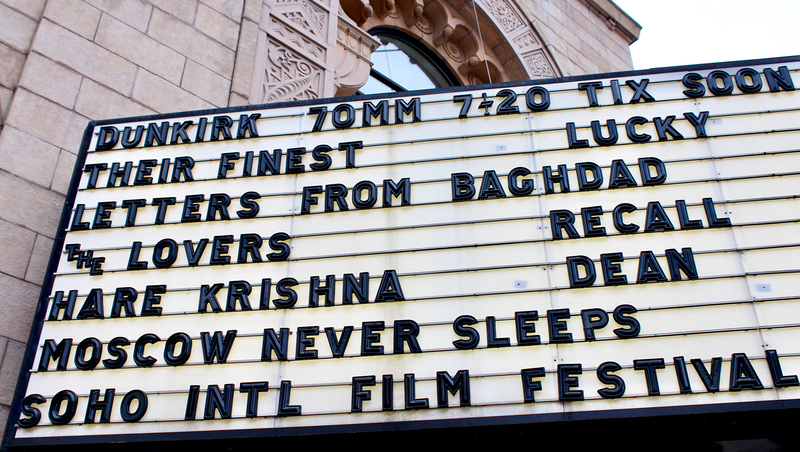 Transitioning from the fiction of Hollywood to the documentary, “Hare Krishna! The Mantra, The Movement and the Swami who started it all,” can you speak a little bit about Prabhupada’s actual journey and his mission? In other words, why is this movie so critical and why is it vital that we hear Prabhupada’s story now? That was, and still is, a timeless message. Just looking now at America now and the world in general, there’s so much discrimination, so much hate speech. In reference to your point about Wonder Woman, people are really looking for heroes. We all want people who lead by example and that’s exactly what Prabhupada did. It wasn’t that he just ‘went home’ and was a different person. People then, and also nowadays, want deeper answers to their questions and more profound solutions. Prabhupada’s story and in particular, him as a character, is more relevant today than ever. But unlike a fictional superhero, Prabhupada was very humble. He never put emphasis on himself. He made his mission universal and he was steadfast in it. And that mission was, ‘Practice.’ ‘Bhakti.’ ‘Yoga.’ He told the world that there was wisdom that you can find in other traditions. He always emphasized our humanness, that we, as souls, are all connected to one another. Therefore, how can you hate someone who shares a soul with you? RS: Can you speak a little bit about what initially drew you to this project and what, in particular, what the most poignant moment of the filming? LR: Initially, I had been on a journey myself. I had been living in Sydney, Australia and I had similar questions such as, ‘why do I feel like something is always missing? I have all these things but something just doesn’t feel right.’ So, I went traveling for about year and I found myself in India and in Nepal feeling happier than I had been in a long time. When I came back to Australia, a producer friend of mine put me in contact with John and Jean Griesser [the directors of the film] and I fell in love with Prabhupada’s story. That’s how I initially got drawn to the project and I’ve been working on it for 3-4 years. re-enactments of his life when Prabhupada was a boy and when he was also a young man, visiting Kolkata where he grew up, filming the scenes where he watched his father perform religious rituals and all the while remembering that at the age of twenty-two, when his teacher told him to go to the West, it wouldn’t be for another fifty years that he could fulfill this journey. Even though he was married and had children, he patiently waited for his moment to begin. That was particularly inspiring. RS: Finally, if you could address the “average” viewer directly, someone who has never heard of Prabhupada, who knows nothing about the Krishna movement or ISKCON, a non-devotee or “non-believer”—what would you want a spectator to take away from the film? LR: I guess first and foremost, I would want the “average person” to take away an appreciation of Prabhupada. Here is a very unique story of a man who had two heart attacks on a freight ship from Kolkata to New York City and another heart attack later in the country. Yet he created a whole history–an entire movement all on his own, the Hare Krishna movement that is now global. Then of course, I would also hope the film inspires dialogue for people to see it but especially in their daily life. For example, we often hear of bad experiences about different religions or customs we’re not familiar with—but after viewing this film, I hope that it will encourage everyday people to explore different ways of finding spirituality and happiness and how they can share these experiences with others to form community. In other words, Prabhupada’s message was that spiritual life can be accessible to anyone. Everything that you do in your life can bring you spiritual perspective. Religious devotees aren’t just a stereotypical vision that society has of bald-headed men dancing in bed sheets. I would hope the film opens and provides prospective on the whole Hare Krishna movement and that this film shows the fun, complex story of an extraordinary man and moment in history with all of its true ups and downs. 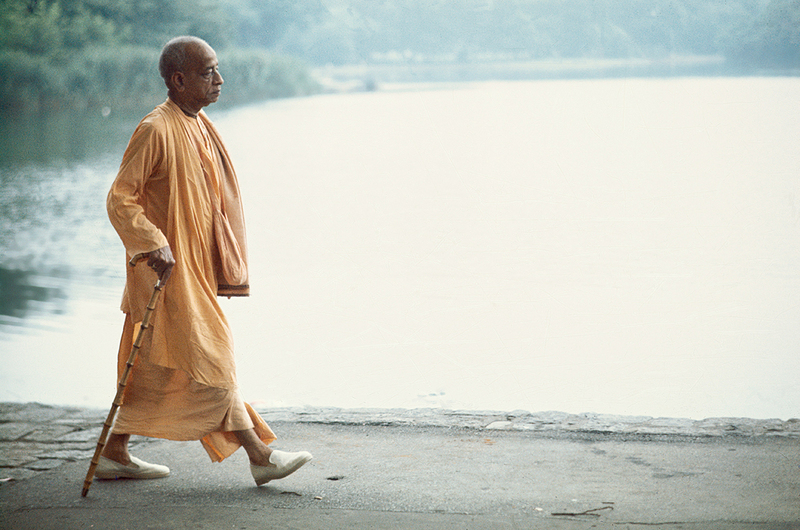 Srila Prabhupada walking along a waterfront. 1972. Be inspired – short reel of Yoga + Science Conference presented by Eddie Stern and Marshall Hagins in partnership with The School of Health Professions, Long Island University and JIYO. Namarupa was there and will publish full transcriptions & presenter videos soon(er or later)! 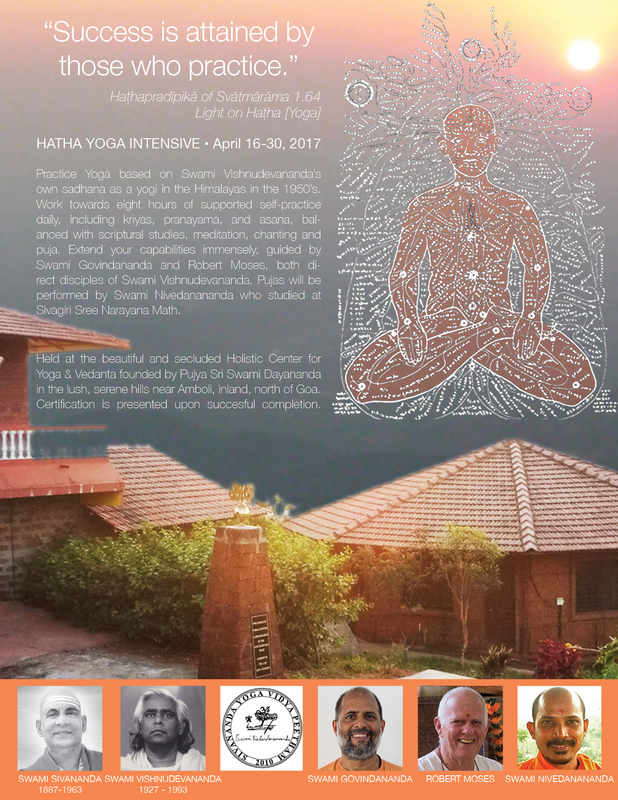 Featuring Paramaguru R. Sharath Jois (at the end) and music by Moby. 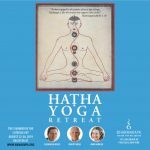 One-day conference for scientists, yogis & meditators who wish to explore the most recent scientific evidence on the positive effects of yoga on healing, cell regeneration, longevity & consciousness. Short video of the course held in September 2016 at Tapovan Kuti in Uttarkashi, Himalayas, India. Next course September 2-October 1, 2017. Issue 4 Fall 2005 Republished! 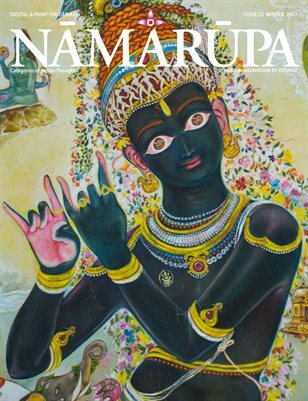 NAMARUPA is funded by purchases & donations. Contributors have kindly offered their work free of remuneration. In certain cases honorariums are granted. Editorial and production assistance is voluntary. ©NAMARUPA, LLC. All rights reserved. 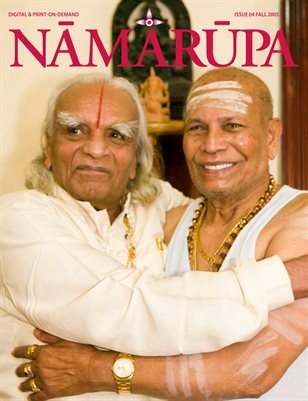 Please contact info@namarupa.org if you wish to make a donation to NAMARUPA and/or NAMARUPA BHANDAVA. Thank you.